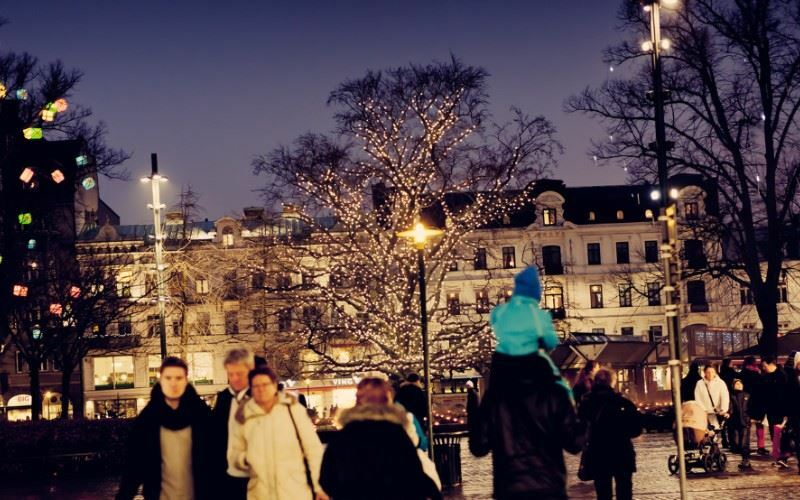 Wrap up warm this winter and visit the Christmas markets in Sweden’s third largest city. From 24 November 2018, Gustav Adolfs Torg, in the heart of the city, is transformed into a glittering market square with stalls selling handicrafts, local delicacies and Scandinavian festive designs. Couple this with a handful of indoor shopping centres, independent boutiques and fair-trade sustainable stores and you are guaranteed to return home with some unique Christmas gifts. Katrinetorp's big Christmas market (7-9 December). On arrival at Copenhagen Kastrup airport, take the train across the Öresund Bridge to Malmö (c.21-minutes). On arrival in Malmö self transfer to the MJHotel in the centre of the city. Opportunity to browse gorgeous handicrafts at the Christmas market in Gustav Adolfs Torg, sample spicy mulled wine (glögg) and enjoy typical Swedish produce – smoked sausage, cheese, gingerbread biscuits and traditional Christmas sweets. For lunch, why not try the beloved julboard? This traditional buffet is served at most Swedish restaurants throughout the festive period, as well as on Christmas Eve, and includes an array of delicacies; pickled herring, gravlax, paté, knäckebröd (crisp bread), ham and meatballs with beetroot salad to name a few. In the evening, under the twinkling lights, enjoy the sounds of Christmas on one of the city’s music stages. Time to explore the city and to take in the key sights such as the Turning Torso, Lilla Torg square, St Peter’s church, Malmö art museum, the City museum and the Modern art museum. Alternatively, shop to your hearts content at the local boutiques and Scandinavian design stores. If your visit to Malmö coincides with 13 December, try to take-in a Lucia celebration. This 400-year-old tradition celebrates the ‘Queen of light’ and its ceremony, led by children, is a moving and beautiful experience. Highly recommended. After breakfast, self-transfer to Malmö train station. Take the train to Copenhagen Kastrup airport for your return flight to the UK.